Superdry men's Hex quilted jacket. Look stylish and stay warm with the Hex quilted jacket, featuring an elasticated hood and cuffs, single layer zip fastening and three zip fastened front pockets. 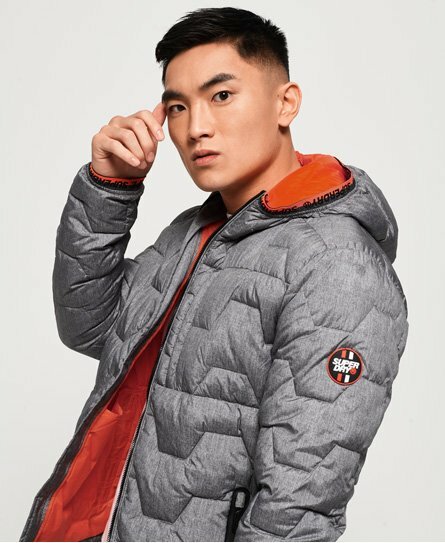 The Hex quilted jacket is completed with Superdry logo branding around the cuffs and hood, and a logo badge on one sleeve. This jacket will look great paired with any outfit, from a t-shirt and joggers to shirt and jeans.